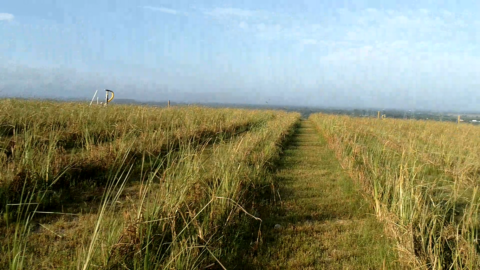 This past summer, LMS and WCA Waste Corporation installed a 4.7-acre leachate phyto-utilization system using vetiver grass at WCA's Fort Bend Regional Landfill in southeast Texas. 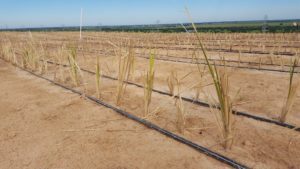 The system is designed to pump leachate generated from the municipal waste landfill to the phyto field where it is distributed to more than 65,000 vetiver plants. 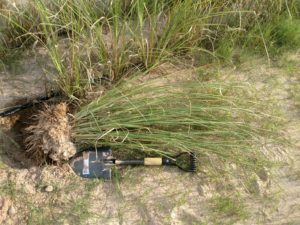 The plants consume the leachate through evapotranspiration, benefiting the facility and environment in numerous ways (e.g. significantly reduced cost versus hauling, reduced liability, taking diesel burning tanker trucks off the road, and reducing the carbon footprint of the landfill). 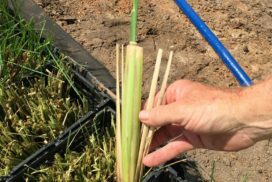 In August, Hurricane Harvey hit the area hard, but our young phyto system withstood the record rain and wind extremely well, with only minor erosion damage. 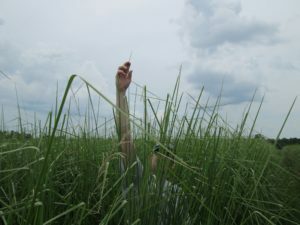 The photos show how fast the vetiver grew in less than 4 months!